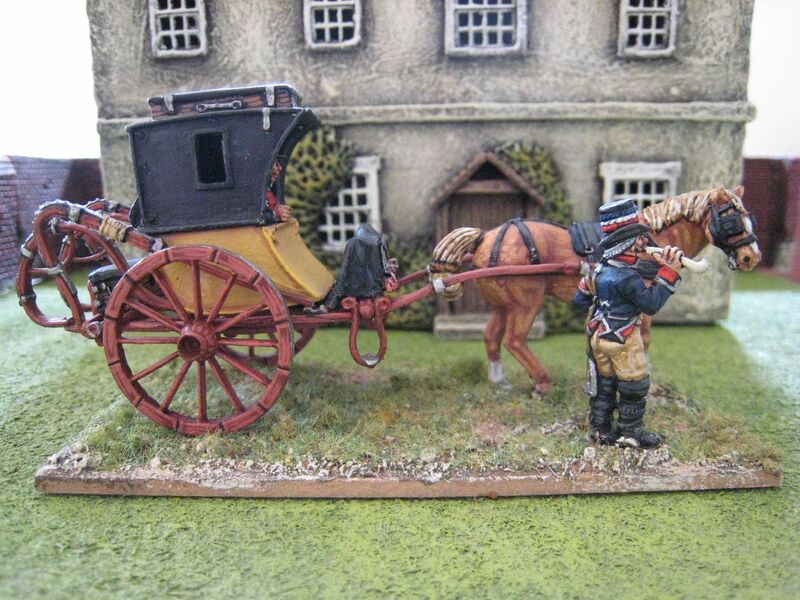 In keeping with the Napoleonic theme for a moment, this is Westfalia Miniatures' limited edition French imperial post coach, together with an additional French postman smoking his pipe. This is an all-metal set that comes in various parts. In can be fiddly to put together, although the Westfalia website offers good instructions. The only really confusing part are the bits that go on the back of the coach and precisely where they go. The model might have benefited from reins, but I decided I didn't really know how to go about it and I couldn't really be bothered anyway. 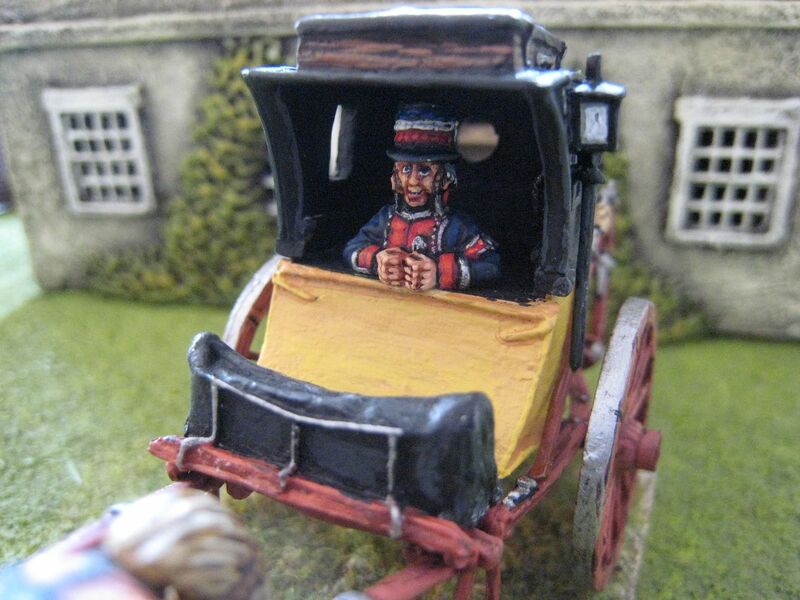 The standing postman is straight out of an illustration in Osprey's Elite series "Napoleon's Imperial Headquarters (2)", a book that provides a bit of useful information. Apparently the French Military Postal Service was staffed by civilians but came under the command of the military. Every army had a detachment, but in circumstances where Napoleon himself commanded an army the director-in-chief of the service came under the command of the imperial household HQ. 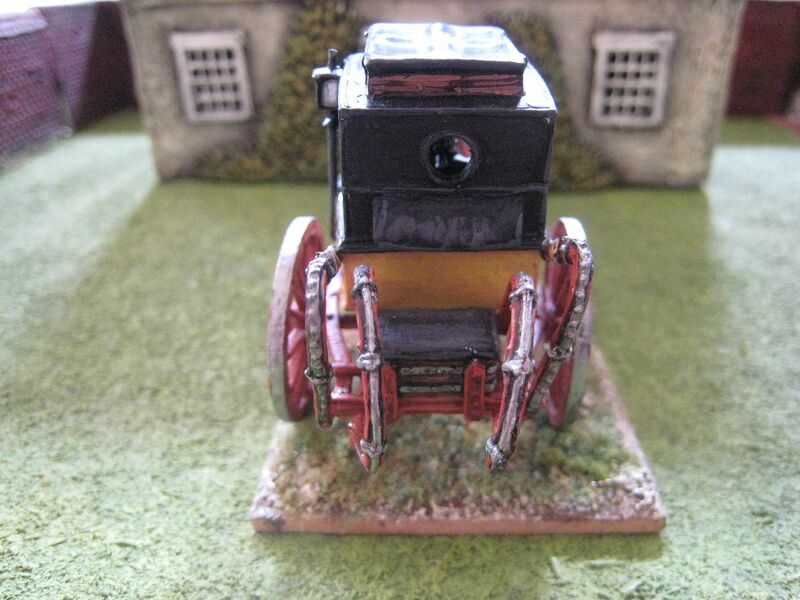 This model shows a two-wheeled coach that was often used to transport letters - these are on the roof of the coach, protected by oilcloth. 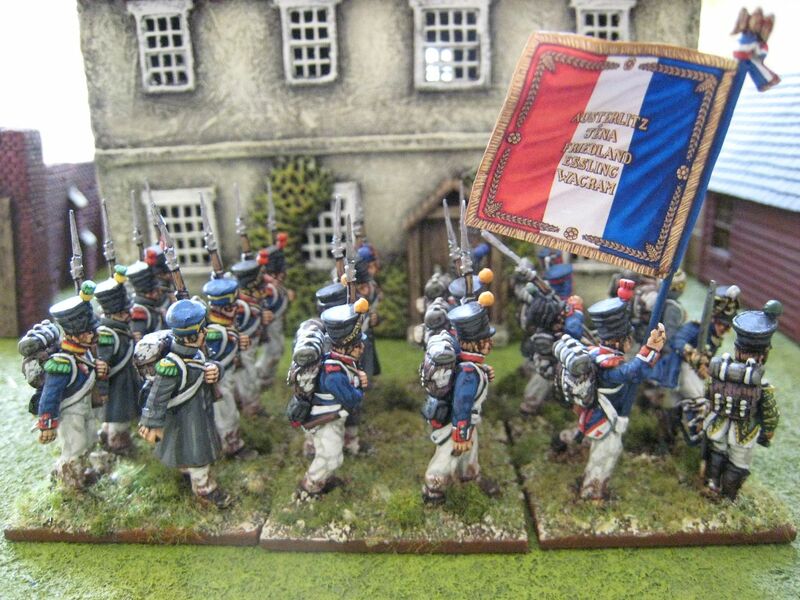 The postmen here are wearing civilian blue rather than imperial dark green, but their attachment to the army is shown by the tricoleur ribbons around their hats. 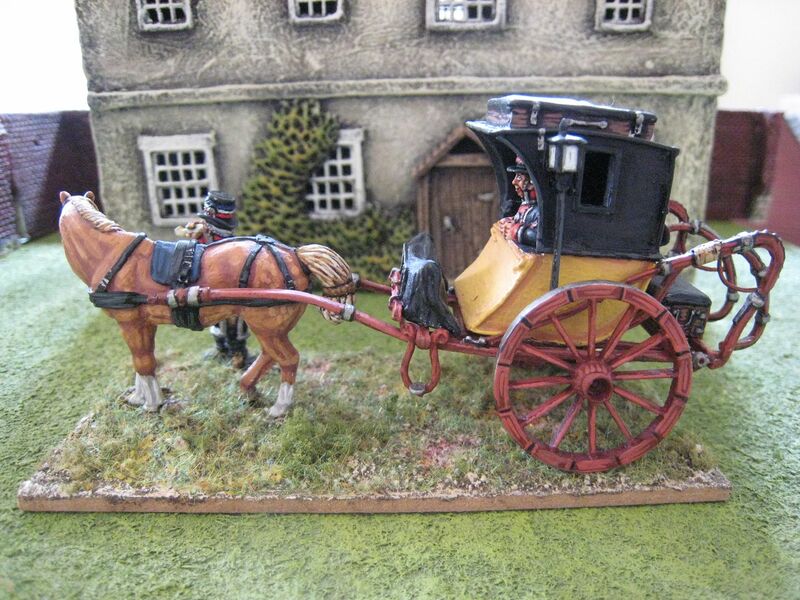 The illustrations in the Osprey book show the various imperial coaches painted yellow ochre with red oxide woodwork, so that's those are the colours I've used here. I painted this some time ago but didn't quite finish the painting or the lantern. I tried to paint the lantern as it might appear in daylight, but that's failed totally and it looks as if there's a phosphorus grenade going off inside it. 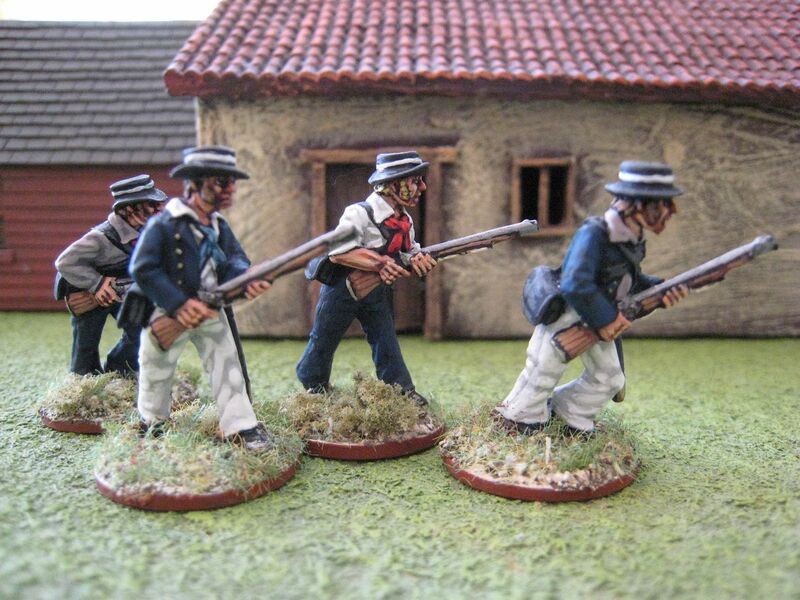 Anyway, this joins my "rear echelon" stuff for my 1815 collection. Coach and postmen painted November-December 2014. 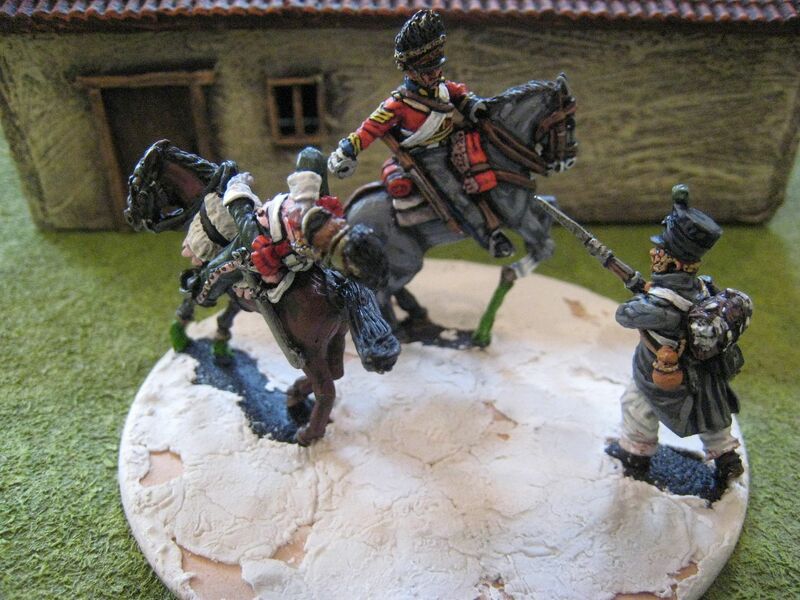 On the painting table at the moment are the Perries' Sergeant Ewart Waterloo vignette and the 8th Ligne - wip photos below. 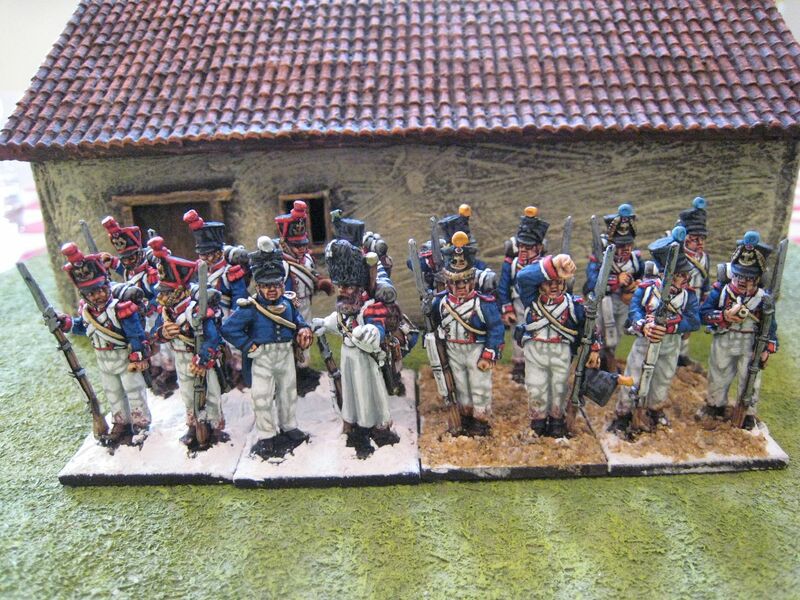 This is the first battalion of Napoleonic French Line infantry that I've painted in 2 years. It is the first battalion of the 54th Ligne, so the counterpart to the second battalion I posted about in May 2013 (see here). The 54th Line was part of the 1st brigade of the 1st division of I Corps and, as with its counterpart, at 1:20 for the "General de Brigade" orbat it has 24 figures. 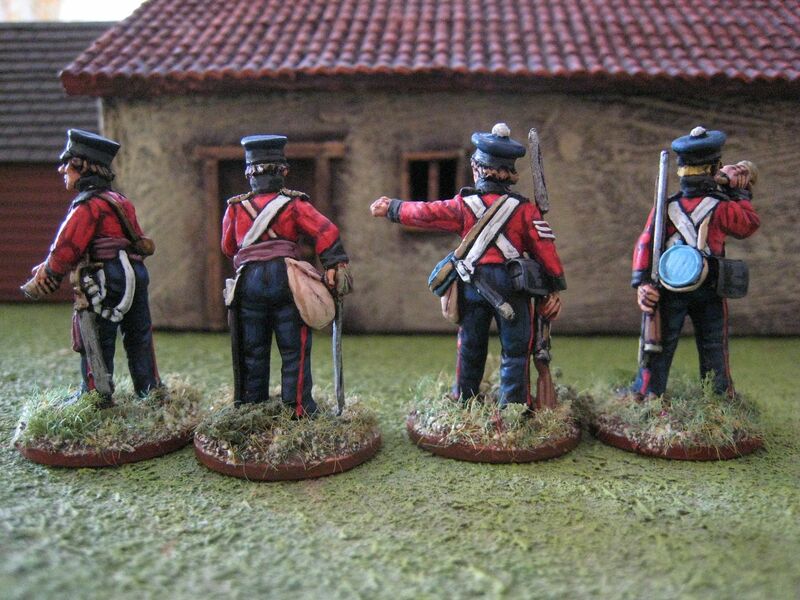 As I noted before, I try to standardise small details like shako covers and greatcoat colours for each division I work on. So this division have black oilskin shako covers and slate grey greatcoats. 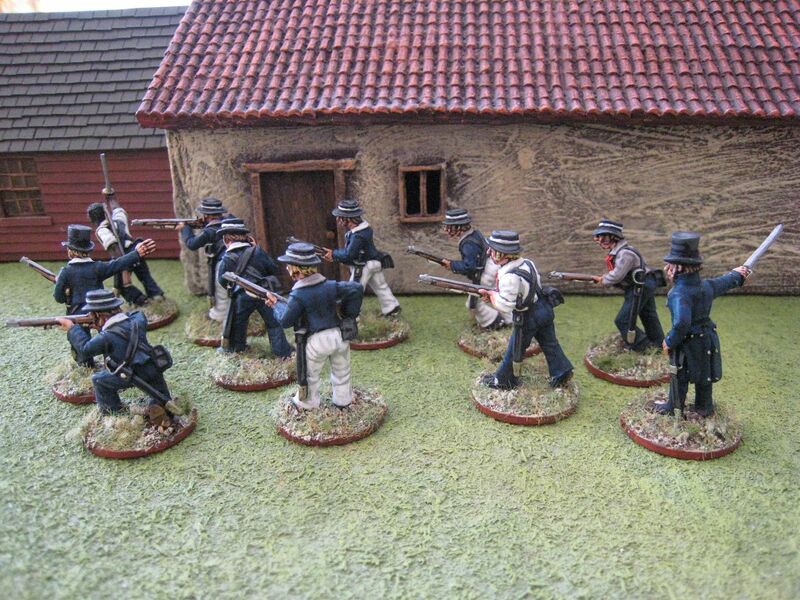 The figures are largely Perry plastics. 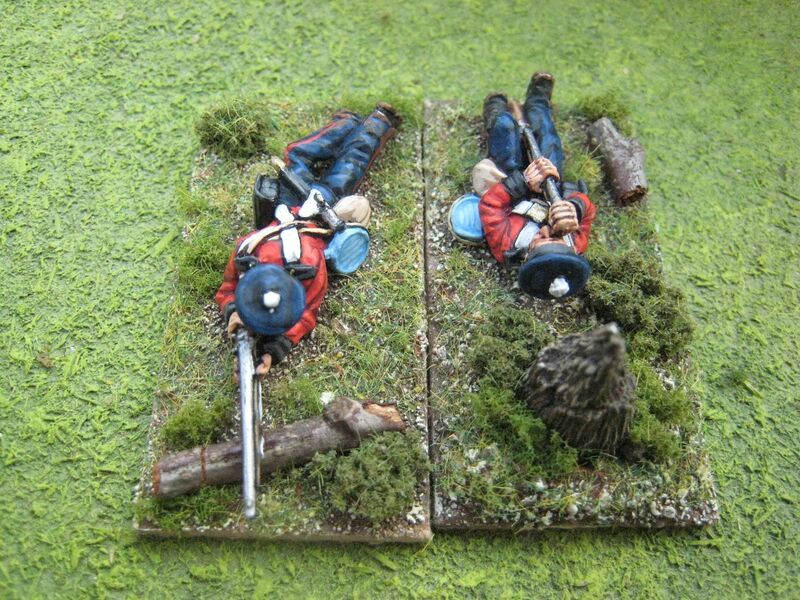 On the command stand are 2 Perry metal casualties and a Foundry drummer - I was trying to use up spare metal figures when I put this unit together (you can see the rest of the Perry casualties pack here). Not much else to add, really. 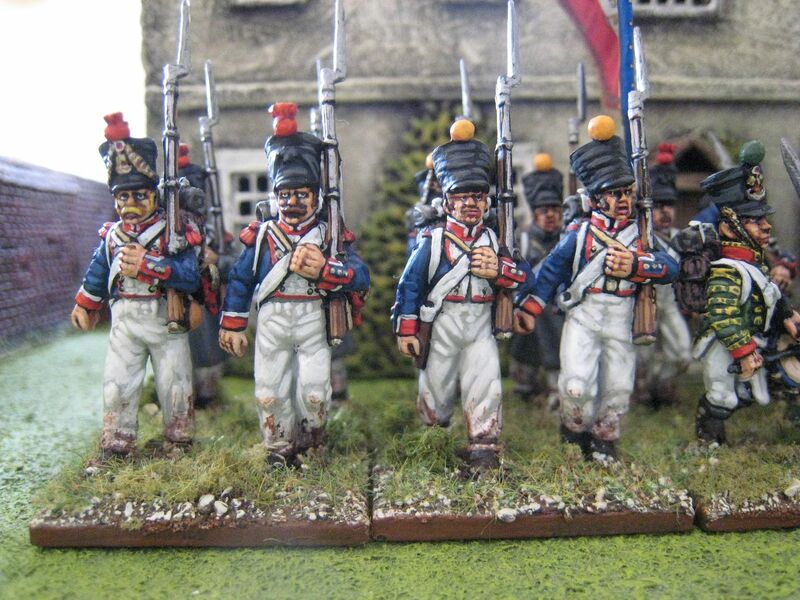 I've now painted over 200 Perry plastic French infantry (check out the "Napoleonic French" label if you're interested in previous efforts) and I totally love these figures. 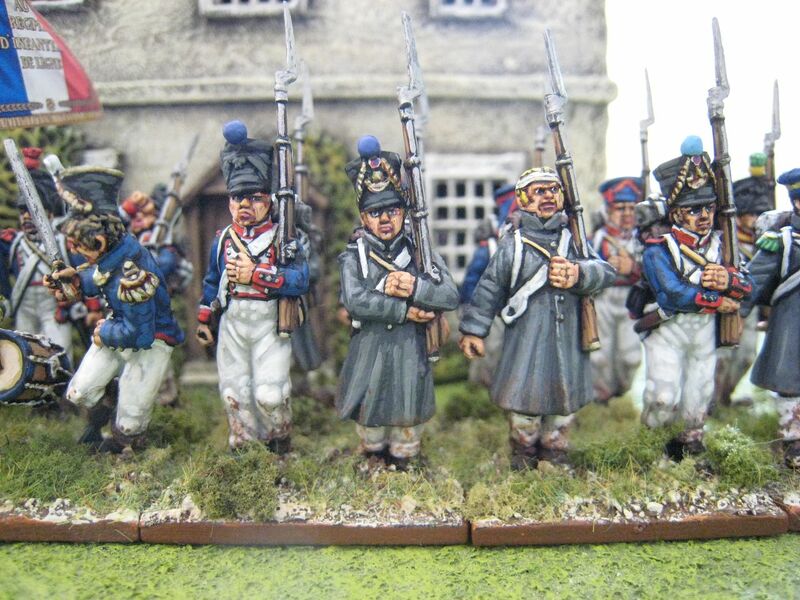 I'm currently painting some metal French infantry and they are so much more work than the plastic figures that I don't know why I bother, to be honest. 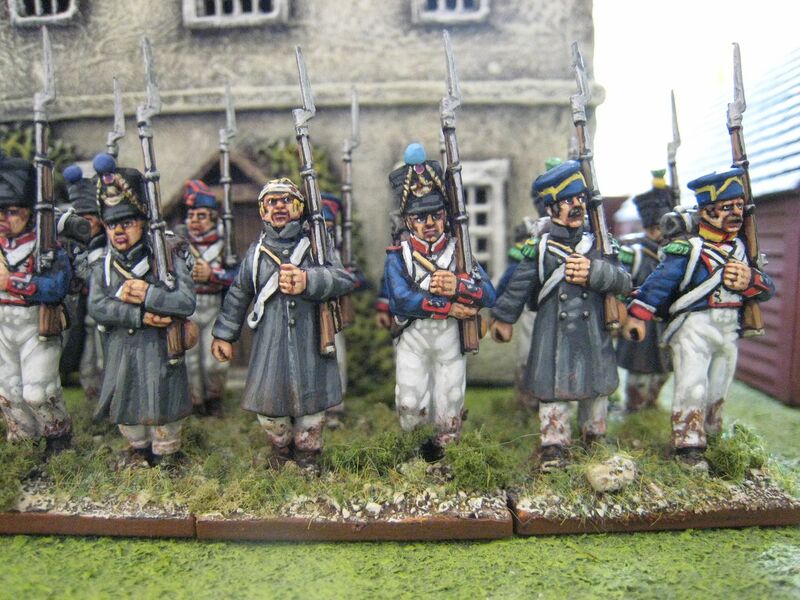 I'll probably complete Charlet's brigade with the 55th Ligne and then call time on the French infantry, moving on to some cavalry and allied troops. 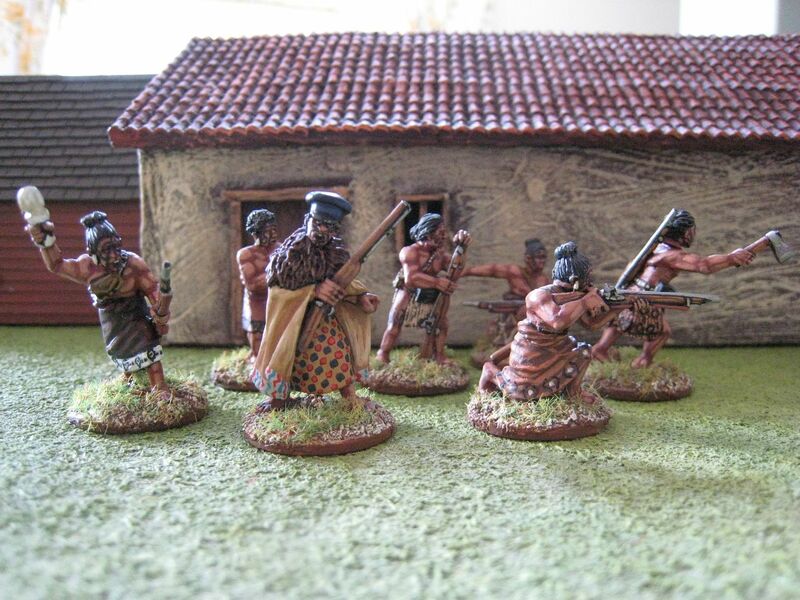 As before, the building in the background is by the much-missed Touching History, with walls from the Hovels Hougoumont set and a side barn by Tablescape. 24 figures. Painted November 2014 to February 2015. Flag by GMB. 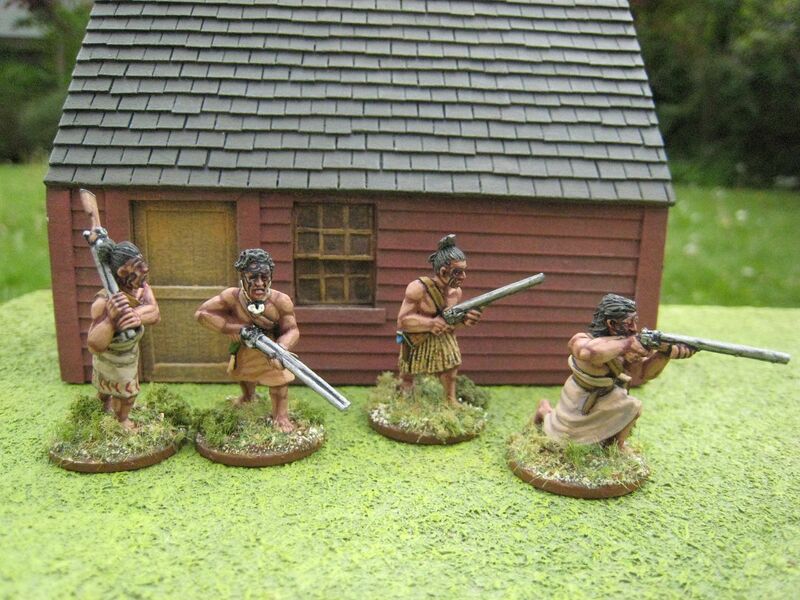 Here we have the final 4 Maori figures that I painted recently, all from Empress Miniatures pack NZ14, "Maoris with shotguns". 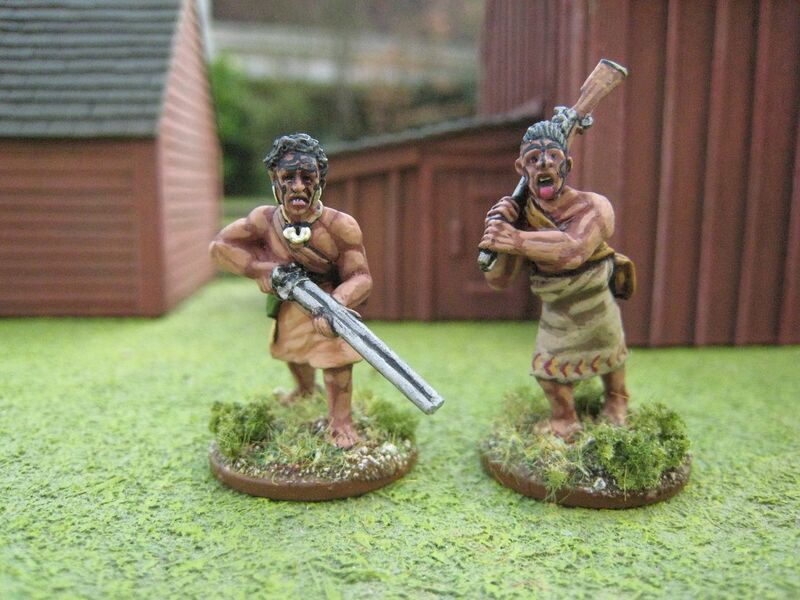 I painted them exactly the same way as with previous Maori. 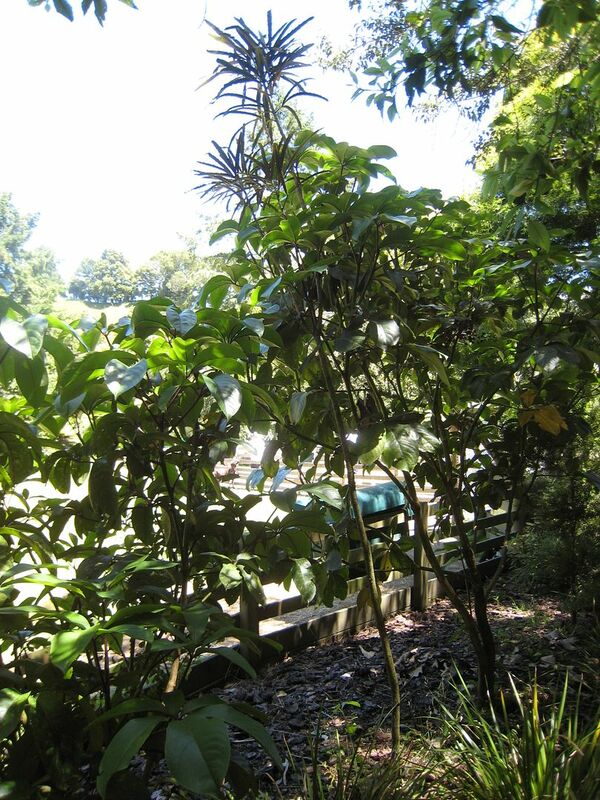 A note on the skin colour: yes, I know that it is not quite right. 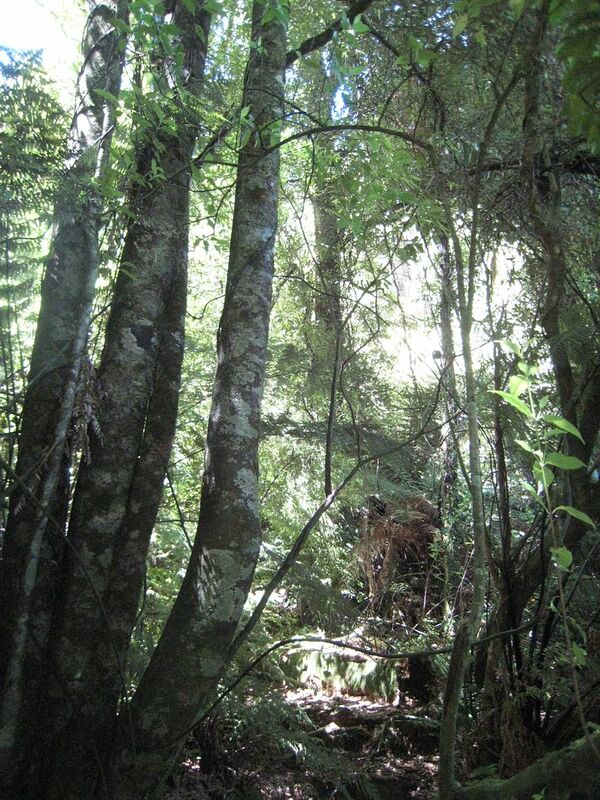 Maori would be darker than this. I explained on TMP that the reasons for my colour choice are: (1) practical ease – the Foundry palette I'm using is there, available and seems the best of the bunch, and I don't like mixing my own colours, to be honest; (2) I tend to use lighter-than-life colours on 25mm anyway; (3) a lighter flesh tone shows off the tattoos more clearly and that to me is the thing that distinguishes these figures as Maori; and (4) I remember seeing an exhibition of Gottfried Lindauer portraits in Auckland a few years ago and I was surprised at how light he'd painted the maori skin on some of his maori portraits. 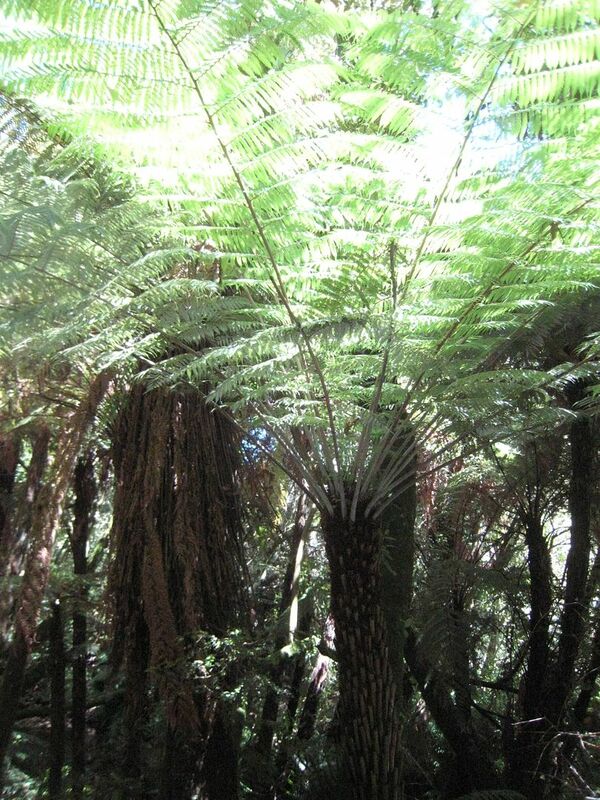 An example is below - it was pointed out on TMP that Lindauer may have painted what he wanted to see, or thought he'd seen, which could well be right. 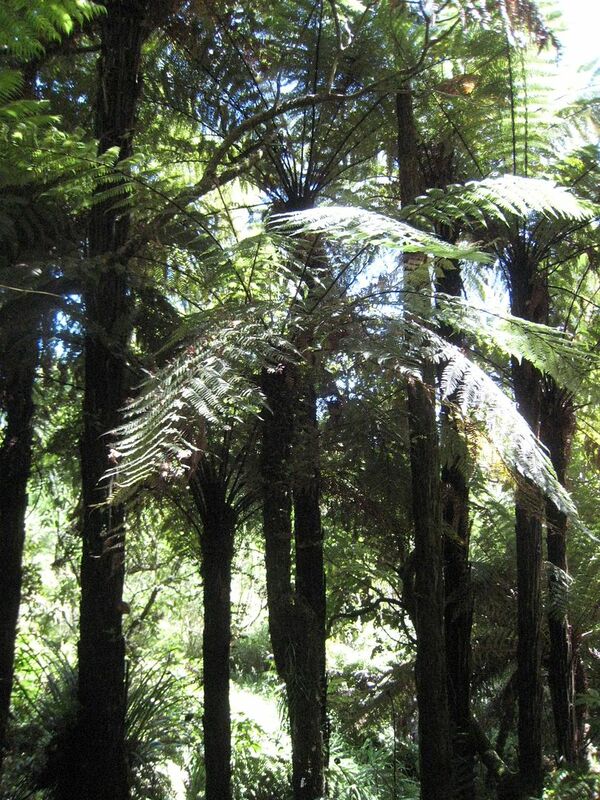 Lindauer was born in Bohemia in 1839 and moved to New Zealand in 1874, apparently to avoid being conscripted into the Austrian army. 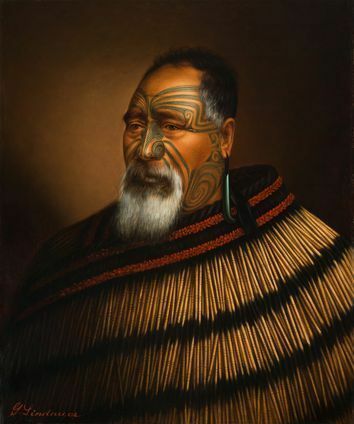 He settled near Wellington and become well known for his portraits. Anyway, that's the reasoning behind the decision. 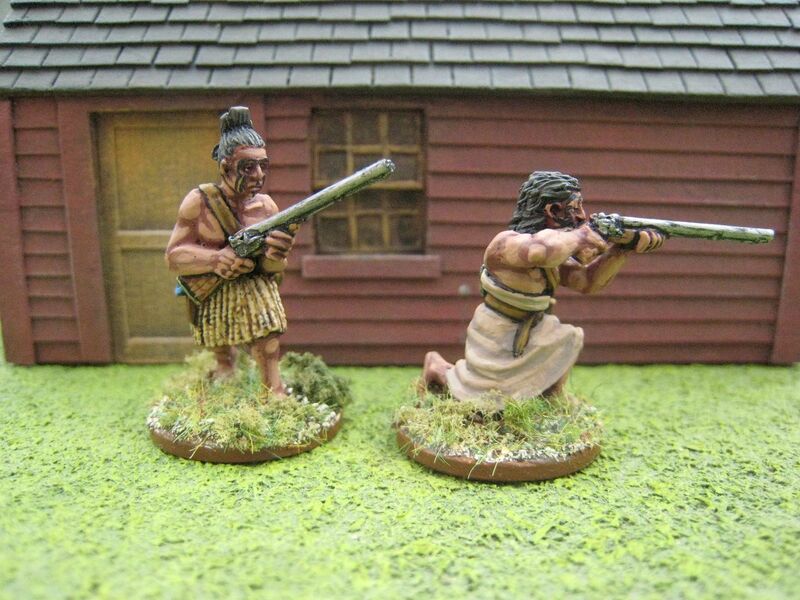 It's not a perfect colour, but at least I've rationalised it in my own mind!I didn't add much in the way of skirt decoration, as I wanted these figures to have clothing that was less ornate than that worn by the chiefs I painted earlier. 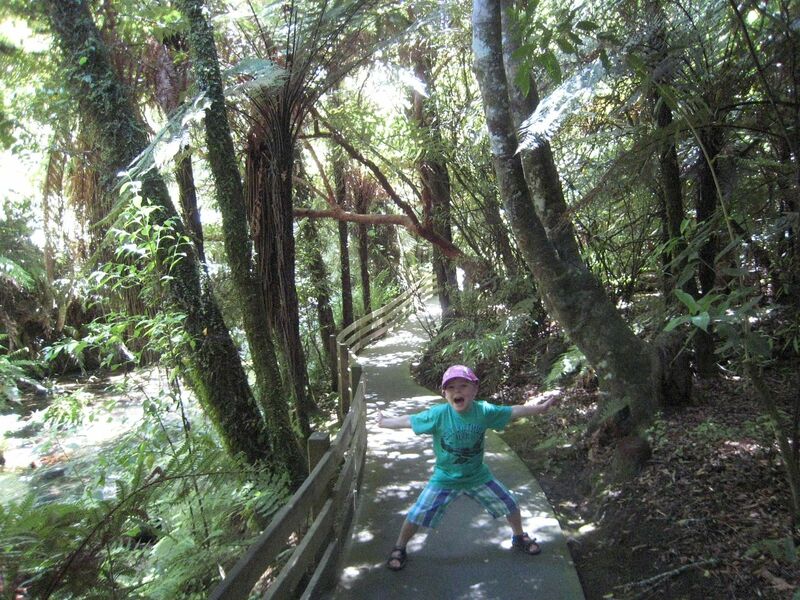 That's it for the NZ Wars for a while. I have a couple of packs left to do - some more militia and the RN 24-pounder and crew, but I'll wait until I pick of the other new-ish packs from Empress and paint the lot together. 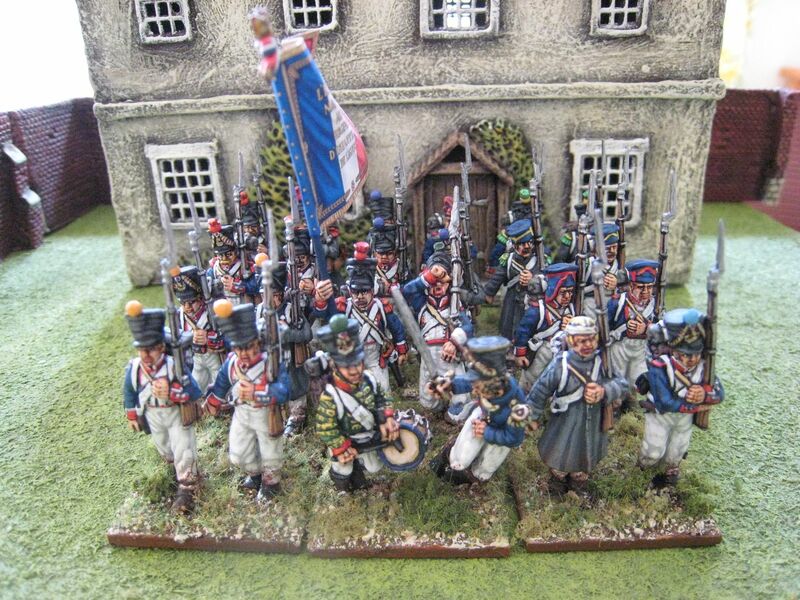 I still have a backlog of painted units to post about - 3 AWI regiments of American infantry, some French Napoleonics, First Carlist War Isabelinos and a couple of other things. 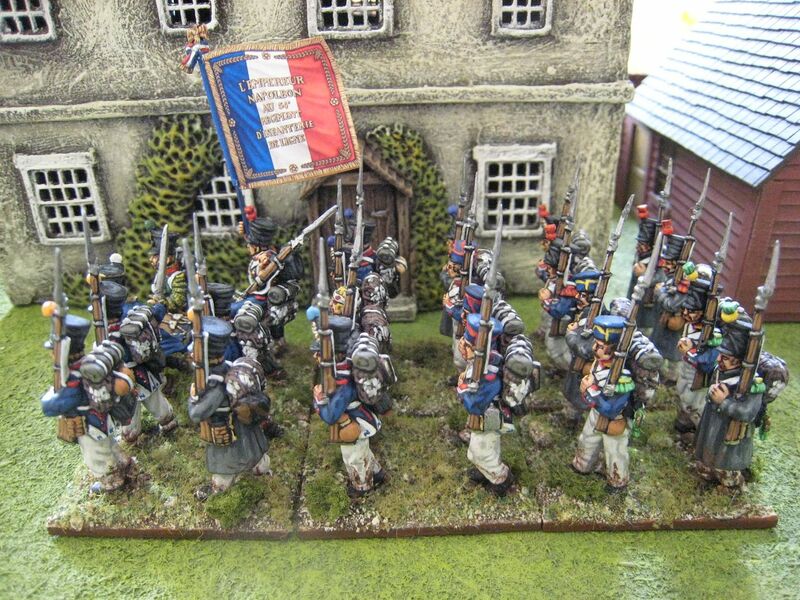 I'm hoping to have all those posted up over the next couple of weeks - it's just a question of finishing all the basing and then taking photos. 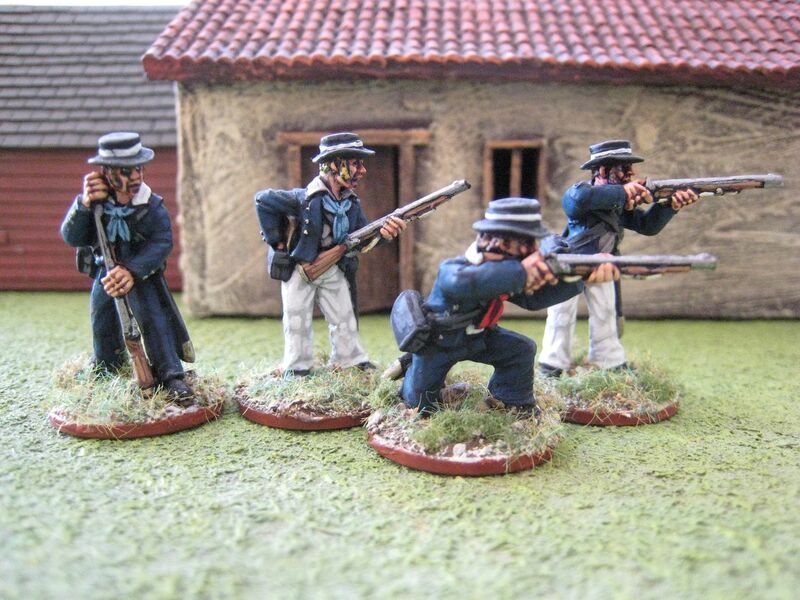 On the workbench are, amongst other things, the last few figures for the 2nd South Carolina Regiment and some more 1815 stuff to celebrate the bicentenary. This year I've been trying very hard to reduce my leadp/plastic pile and not buy anything new. 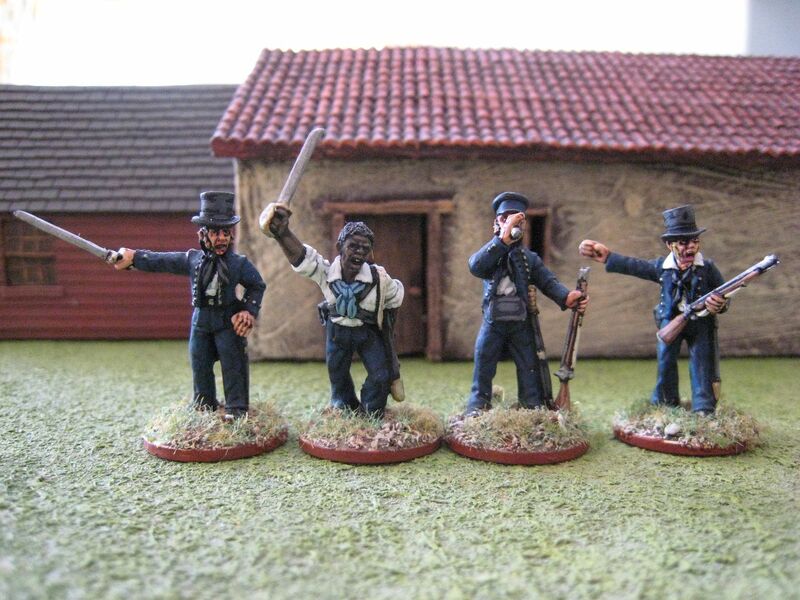 So far, I've bought about 5 packs' worth of figures, and acquired a free box of Warlord plastic 1815 British infantry from my Wargames Illustrated subscription. I'm determined to make a conscious effort to run down those piles this year. 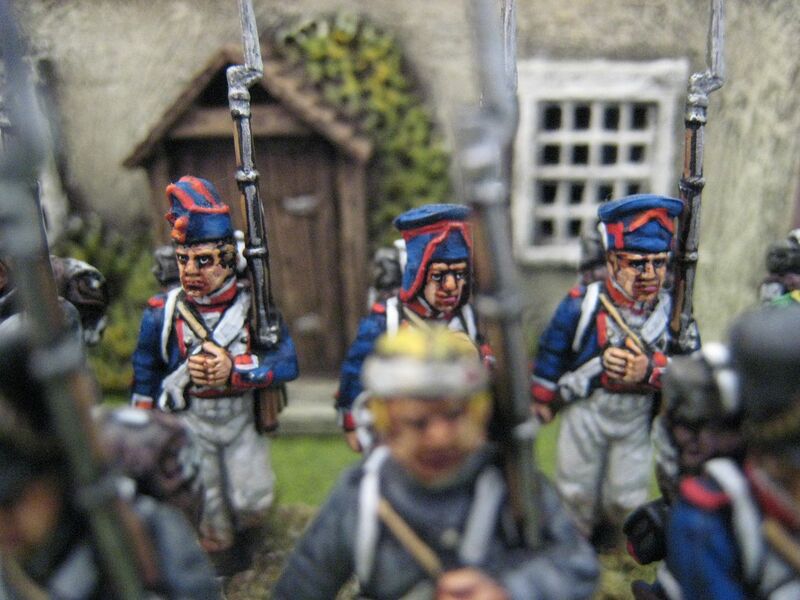 I feel I should be painting lots of Napoleonics and I still have plenty sitting at home. 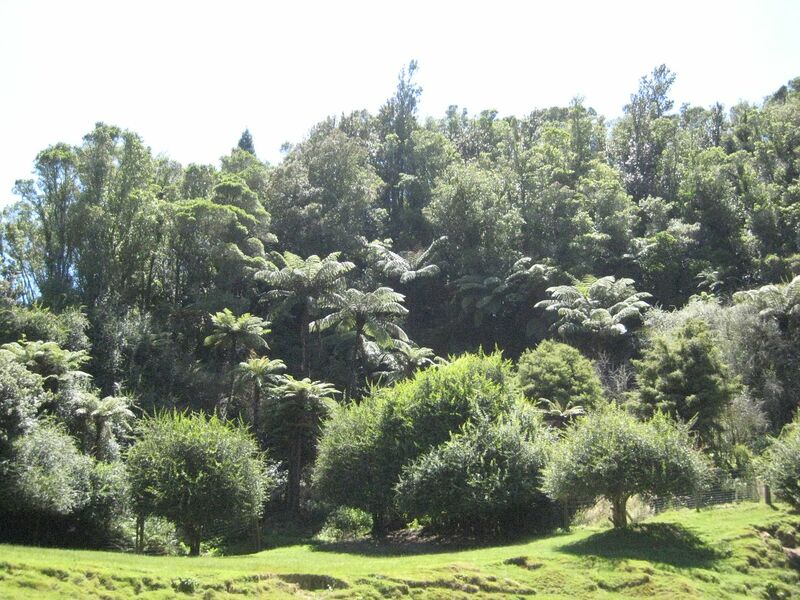 After I returned from my last trip to New Zealand, over Christmas 2013/2014, I posted about the Maori buildings and other bits and bobs at Rotorua (see here). 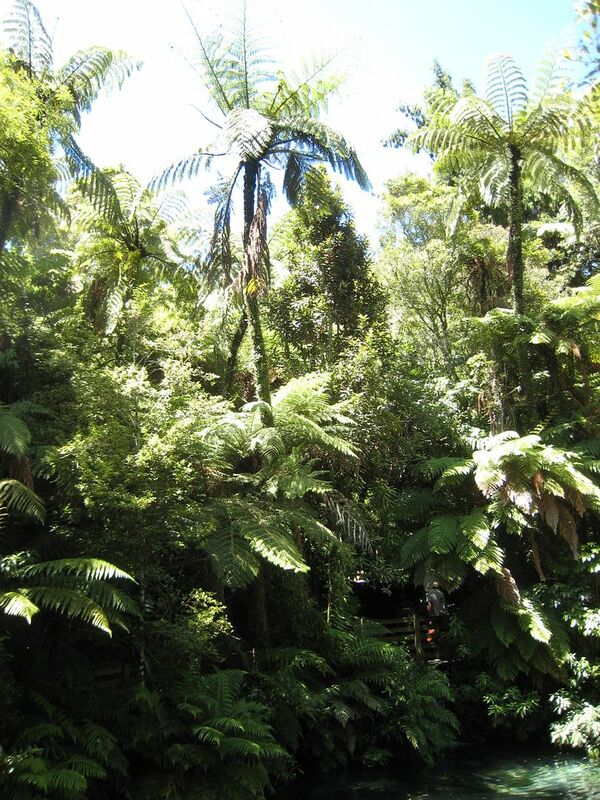 We also visited Paradise Valley Springs wildlife park, which despite its rather cheesy-sounding name is a beautiful place with plenty of birds, animals and trout to admire and a rather spectacular "treetops canopy walk". 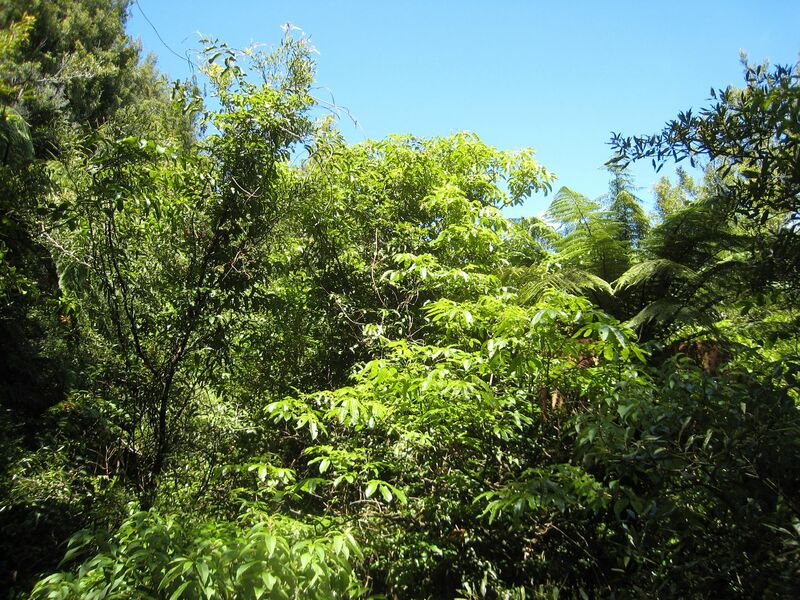 It was during that walk that I took some time to look at the forest to try to work out how the NZ bush might be modelled - with extreme difficulty is probably the answer, but I thought I'd post some photos and a couple of observations. 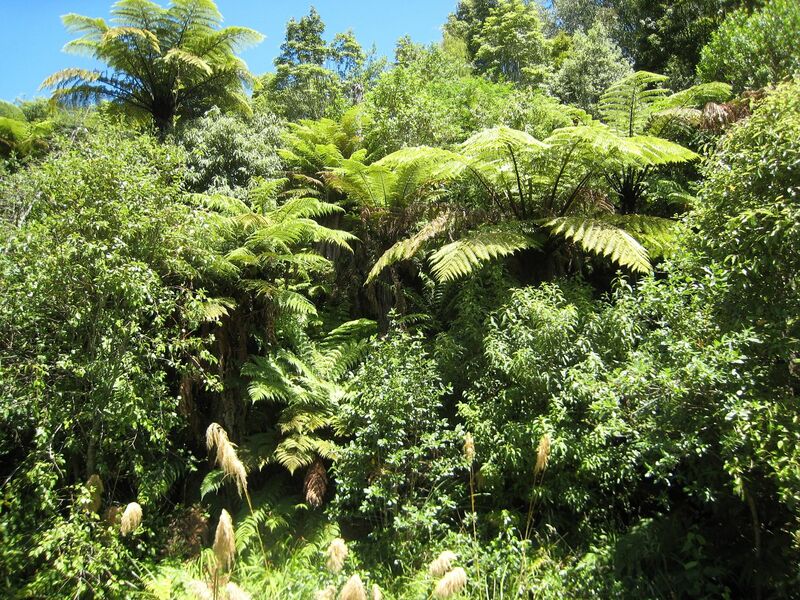 While the trees come in all shapes and sizes, it is of course the ferns that make the landscape distinctively New Zealand (at least to English eyes), and naturally there are many different types of ferns. 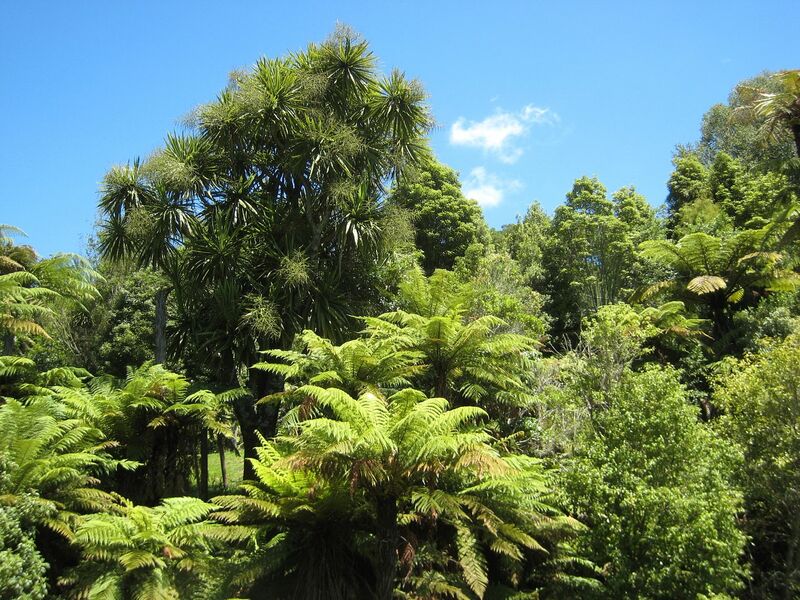 I think these are black tree ferns, which are NZ's highest and can grow to a height of 20 metres. I meant to keep on posting daily over the bank holiday weekend, but it proved to be very busy and so apologies. What we have here are 6 further figures for the 58th Foot, who I previously wrote about here. 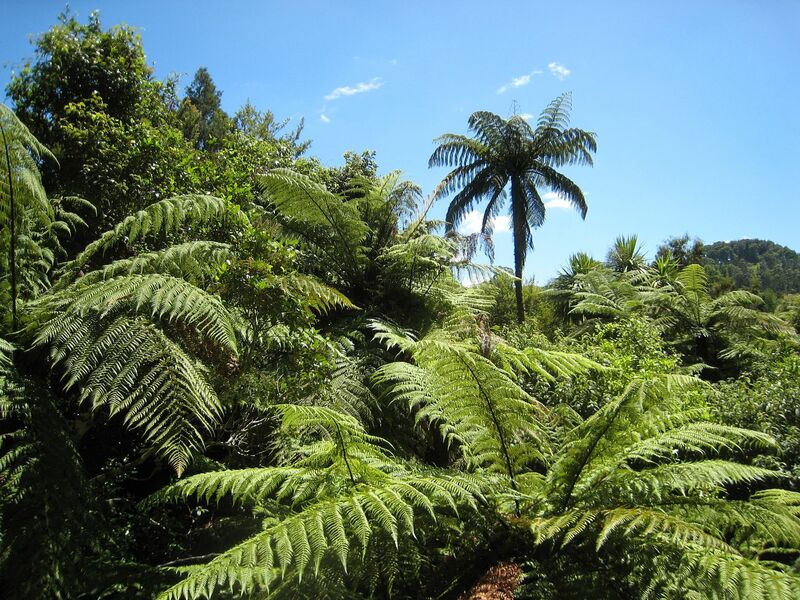 The 58th arrived in New Zealand in March 1845 after spending a couple of years on garrison duty in New South Wales as part of a large reinforcement desatched from Australia in response to the sacking of Kororareka (modern Russell in the Bay of Islands, north of Auckland). Other troops were sent from the 96th and 99th regiments of foot and the Royal Marines. 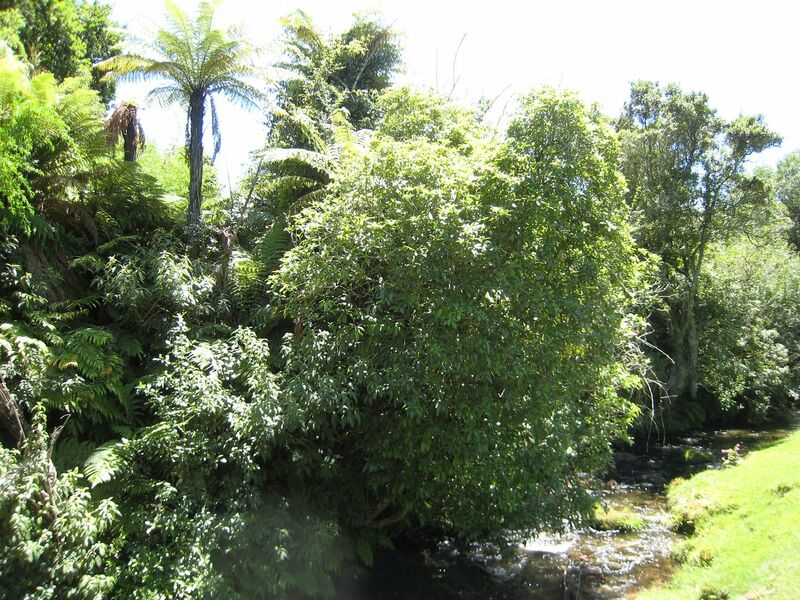 The 58th fought in the south of North Island as well as in the Bay of Islands. Apparently, when the battalion returned to the UK in 1858 some 300 of its number who were due for discharge decided to remain in New Zealand. I also gather that the 58th has the distinction of being the last British infantry regiment that carried its colours into battle, in 1881 at Laing's Nek during the First Boer War. 35% of the battalion's strength was lost during that battle, including 5 officers who successively carried the colours. 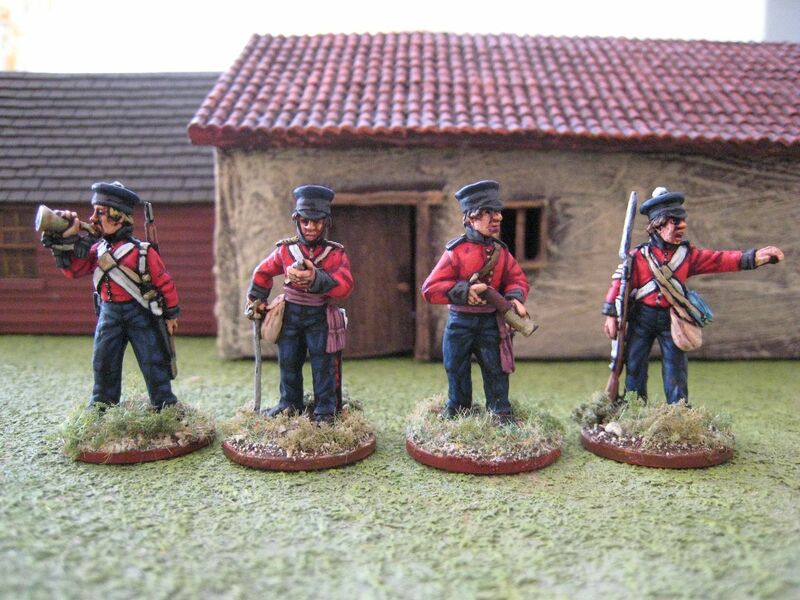 These figures are from 2 Empress Miniatures packs, a command pack and then a "British regular officers and skirmishers" pack. 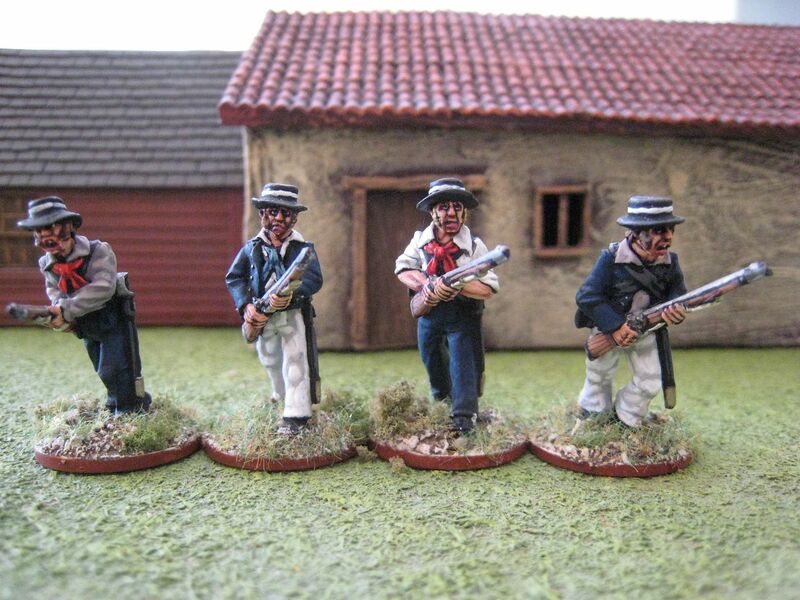 Personally, I'd like to see a full pack of skirmishers - I can see a need for several of the chaps lying down but less such need for the officer and sergeant figures that go with them. 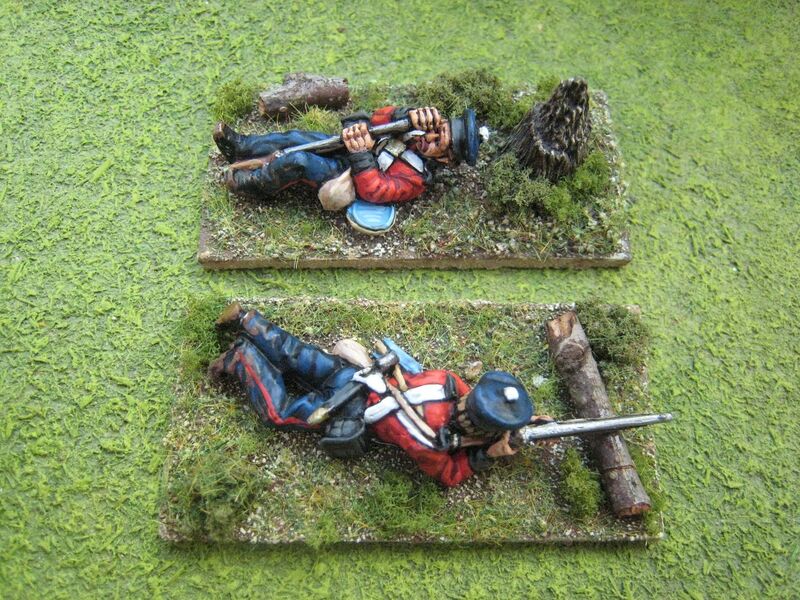 As I noted before, these figures also work for the British Auxiliary Legion in the First Carlist War so I expect I'll pick up another couple of packs in due course to bulk out my BAL command stands when I get around to doing them. In fact, the reason why I didn't paint the command figures back in 2011 was that originally I was intending to use them for the FCW. 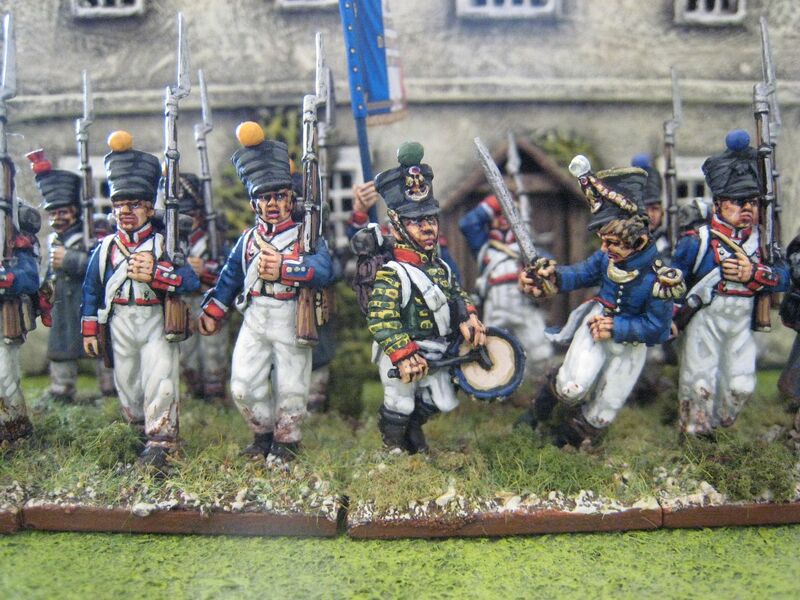 The trousers on these figures were painted in a similar way as for the Royal Navy, so "Foundry palette "British Royal Blue 74" and then an extra highlight of "Deep Blue 20B". Six figures, painted March 2015. 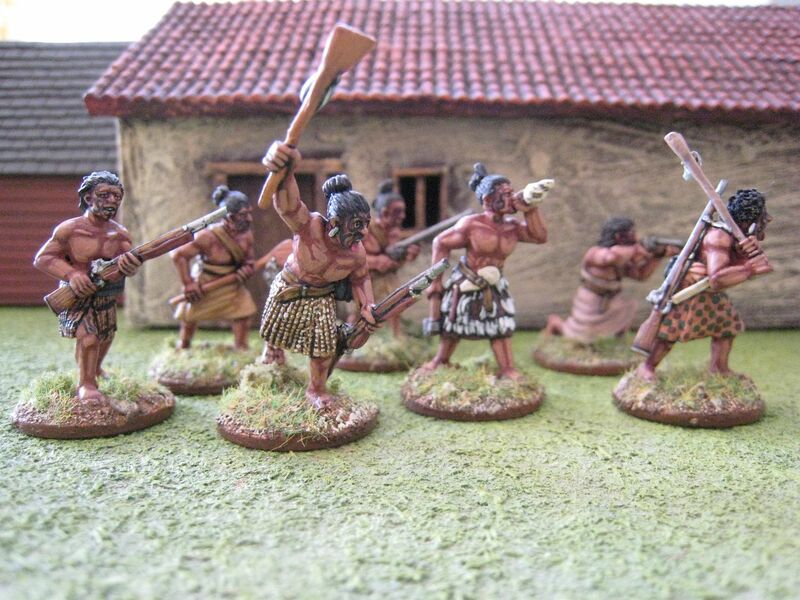 I had intended to post some more maori today, but I realised I'd only photographed half the pack, so those will have to wait until the weekend. 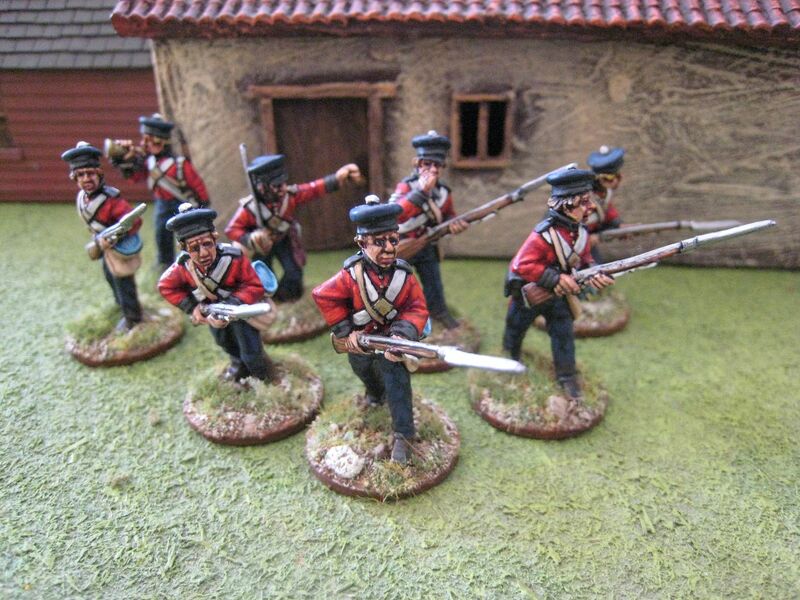 So time for some Brits instead! 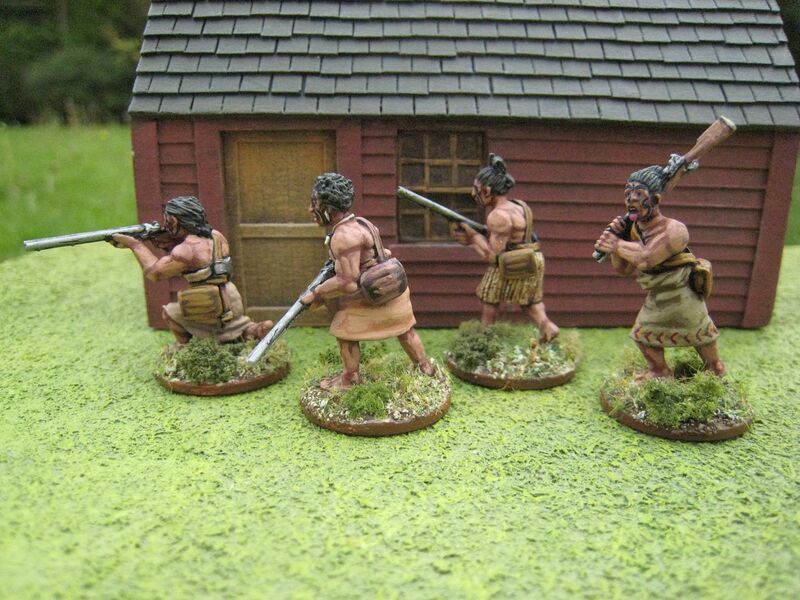 Empress have released several packs of Royal Navy types for the New Zealand Wars. I painted up a rocket crew last year (and some Indian Mutiny types I used as stand-ins) and have now finished the 3 packs of tars on foot, one of which is a command/characters pack (see left). These are crisp figures, pretty easy to paint. Information readily available in print or on the internet as to the precise uniform of the RN in the 1840s seemed pretty thin. There's some useful information in the old Osprey MAA "The Royal Navy" and Roly Hermans has a lot of good stuff here. Unlike Roly, I chickened out of the light blue collars and decided to add some variety to the colour of the scarves as well. I suspect that the scarves were black, but I wanted to have a non-uniform "been out on campaign for years" look and so gave some figures red and light blue scarves. A couple of the sailors also have off-grey shirts to add more variety. The lieutenant and petty officers are in regulation dress, though - black scarves all round. The blue used is the Foundry "British Royal Blue 74" palette. Once varnished, this goes quite dark and the highlights becomes pretty subtle, which works well for RN uniforms. These are useful figures. I'm sure they could be used for the First Carlist War, which saw British sailors deployed on land several times, and probably most periods from 1820 to the late 1850s. 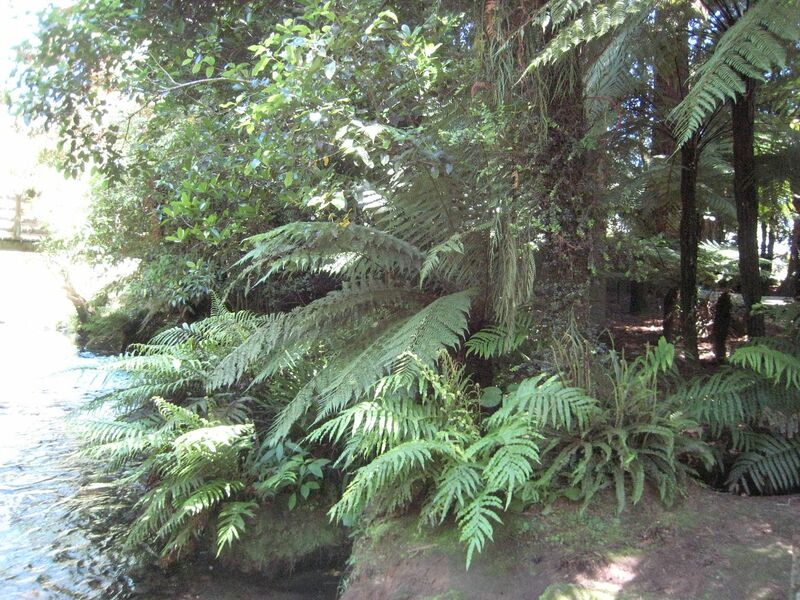 In the 1840s NZ Wars, sailors hauled cannon off their ships to be used in sieges of pas, but they also fought as infantry (in effect), particularly in the defence of Kororareka and the attack on Ruapekapeka. The latter battle involved some 340 men drawn from four Royal Navy ships and one vessel from the East India Company's fleet.